“You campaign in poetry; you govern in prose,” former New Yorker Governor Mario Cuomo famously proclaimed. 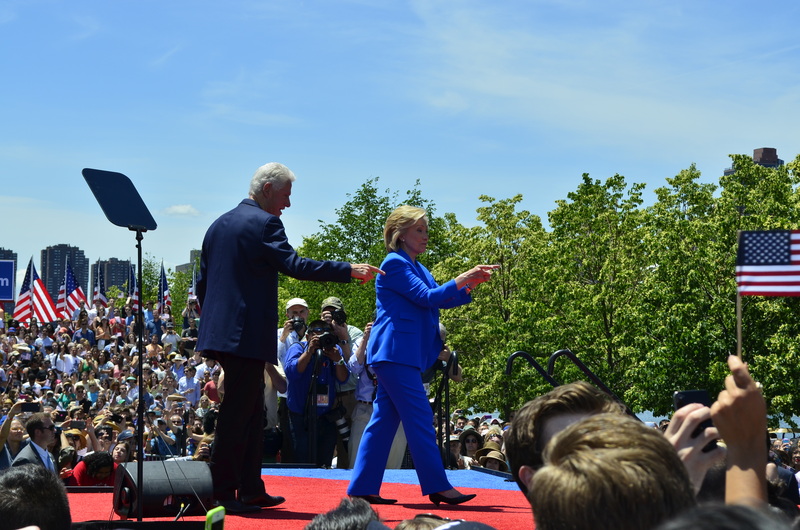 Hillary Clinton is likely to prove Cuomo wrong; her campaign rollout speech yesterday on New York’s Roosevelt Island suggests she is determined to campaign in prose as well. Indeed, it was about as prosaic a speech as one could image; with its litany of policy proposals and homage to constituency groups it felt more like a State of the Union address than a stirring call to campaign arms. Not surprisingly, reporters in the major newspapers struggled to fashion a lead to their stories that adequately captured a single overarching theme in the speech. Some emphasized its “populist” message, particularly her focus on reducing economic inequities. 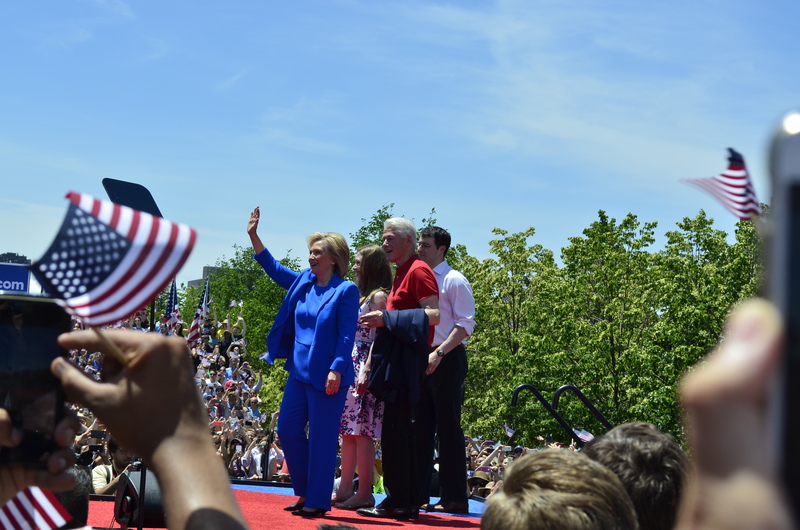 Others focused on her four “fights”, alluding to both her own political career as well as FDR’s “four freedoms” but focusing particularly on Clinton’s homage to the lessons she had learned from her mother who overcame a difficult upbringing. What almost everyone agreed on was that the speech was big on broad themes – promoting inclusiveness and economic equality – and more concrete policy objectives – universal preschool, expanded family leave – but weak on the specifics regarding how to achieve those goals. And she largely stayed clear of the more controversial issues – the 12-nation Pacific trade pact, her tenure heading the State Department, or even how to deal with ISIS – that potentially divide the Democratic Party. The sprawling presentation was clearly designed to appeal to a litany of groups – women, labor unions, racial and ethnic minorities, the LGBT community, truckers, veterans, nurses, small business owners – and to tout a broad range of progressive policies presented as common-sense centrist ideas. In short, there was something for everyone, but little to provoke opposition. Of course, this should not surprise anyone. Clinton is dominating the polls, and the money race as well, and it makes absolutely no sense for her to wade into areas of controversy, or to weigh herself down by embracing policy specifics that are sure to attract fire from opponents. Candidates may campaign in poetry (or, in Clinton’s case in prose), but they also do so in generalities. Details come later, after the election is over. But she followed this with a rather awkward reference to a Beatles’ song, Yesterday, in a somewhat forced attempt to accuse the Republicans of peddling old ideas: “There may be some new voices in the presidential Republican choir. But they’re all singing the same old song. It’s a song called ‘Yesterday. They believe in yesterday.” Well, perhaps, but it was hard not to listen to that reference and wonder if it more appropriately describes her political career. A second awkward moment occurred as she sought to flesh out her biography by discussing her mother Dorothy Rodham’s difficult upbringing; Rodham was abandoned by her parents and struggled to establish her own life. But in transitioning to describing how she learned from her mother’s experiences, Clinton’s recitation of her own efforts after graduating from Yale Law School to help the underprivileged seemed to fall flat. It’s not hard to imagine more than one listener contrasting Rodham’s difficult life with Hillary’s financially comfortable existence. In the end, the speech (you can read it in full here) was unlikely to move voters much; those who support Hillary undoubtedly found much to like – it was a reminder that she has extensive political experience, embraces mainstream Democratic policies, and as a woman represents a bloc of voters who feel their representation in the White House is long overdue. On the other hand, those who view her as an opportunist who lacks strong convictions, who plays by her own rules and whose ties to the financial elite blinds her to the need of the middle class, aren’t likely to have been swayed to think any differently. It is too bad that there is not another viable candidate for the Democratic nomination. I think Mrs. Clinton comes tone-deaf and false in her public presentations. The nonsense with the Clinton Foundation is perfect for Republican attacks on her integrity. The then-junior Senator made mince meat out of her in 2008. Bernie is great–but he is Bernie. He is one of our two excellent Vermont senators. However, that does not make him a viable candidate in a national election. Who else is out there for the Democrats? Joe Biden is in the same elderly age group as both Ms. Clinton and Bernie (a group which also includes this comment-writer). However, the Vice President has the Washington knowledge and campaign ability that would make Mrs. Clinton a stronger candidate when things really heat up after both parties’ conventions. However, he has shown no open interest in running and the unfortunate death of his son at an early age makes the likelihood of a Biden “hat in the ring” even less likely. So the Democrats have to live with what they have. Of course, the Republicans also have to live with what they have…a lot of people with a lot of faults. I take it that you are not impressed with either O’Malley or Chafee? As for Hillary, I understand that she carries baggage, much of it (but not all) of her own doing. Still, she also has formidable strengths as a candidate, including but not limited to her prodigious fundraising connections. It’s easy to forget that she essentially fought Obama to a draw in 2008. Granted, it’s harder to win a third term for an incumbent presidential party, but I suspect she’s as good a candidate the Democrats have to offer. The speech seemed to be written by a computer: so calculated. State of the Union is not a bad description. Something for everybody. The fact is that Hillary is not a good campaigner. She is stilted and wooden. Compare her delivery with Bernie’s and you see a lot of chopped liver. Bernie has real passion for his agenda; Hillary needs a teleprompter or note cards to make sure she gets it right. And frankly, the only question one has when she appears is what color her pants suit will be. Get a new wardrobe Hillary. I don’t think anything she said was new or unusual with one exception: She will support a Constitutional amendment to overturn Citizens United. There was some spice there. This election will be more about domestic policy than foreign policy. Hillary is not well positioned to take on a Kasich or a Bush in this domain. I suspect she would be more comfortable running as an R on foreign policy than a D on domestic policy. She carries too much baggage, is not well trusted, and is vulnerable to a new face on the circuit. If the R’s can find that face, we’ll have a different party in office next year. “Yesterday is over” Marco Rubio. You are so right here, Matt. It does describe her own campaign and her own self. It is the usual increase government services and find a way to pay for them later. We all know the answer; higher taxes and more people on the public dole. This apparently will get her the nomination, but will it allow her to win the election? I don’t think so. Her enevidability (We’ve seen that movie before) will be overshadowed by her unlikeability. I think this one is the Republicans’ to lose. Unfortunately, they are good at that. Shelly – Fortunately (or unfortunately!) with a year’s sabbatical, I suspect you are right: it’s going to be a good year for blogging – The question is whether my prospects are better than Hillary’s! Jack – I agree with your general description of her speech; it was as if she was careful to check off each of the relevant constituency boxes via a policy promise or shout out. And I also agree that she’s somewhat stiff, or “wooden”, on the stump. But I’m not sure that this makes her a bad campaigner. True, she often seems to lack the soaring rhetorical skills of an Obama, but let’s not forget that she drew more popular votes than he did in 2008 and likely would have won the nomination had she organized for the small caucus states a bit more effectively. As a frontrunner, I think she’s focused primarily on not making mistakes during the nominating campaign while she solidifies her support, and I can’t say that’s a bad strategy.